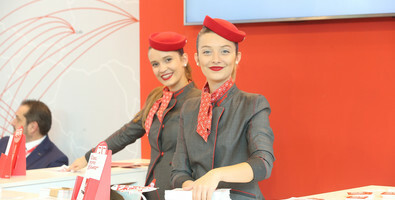 TTG Travel Experience is more than a travel trade show. It is a unique platform where you can discover the latest trends in the travel industry, meet professionals and experts from all over the world and grow your network and your business. More than 2,000 exhibitors, 300 events, seminars and training courses, across three days of business-to-business negotiations and meetings and a packed programme of events, presentation and promotional activities. It is a structured networking tool through which you can find opportunities, explore content and trends in the worldwide industry, and take part in a profitable commercial matching programme for Destination all over the world. The show offers tradition and innovation in tourism under the same roof. TTG Travel Experience bring together at a single event the communities of the industry’s three leading trade shows: TTG Travel Experience, Italy’s main International tourism show and the largest marketplace for Italy’s tourism offer worldwide; SIA Hospitality Design, the International hospitality exhibition; Sun Beach&Outdoor Style, the open-air holiday show. networking opportunities for those who create products and those who distribute them in Italy and abroad. 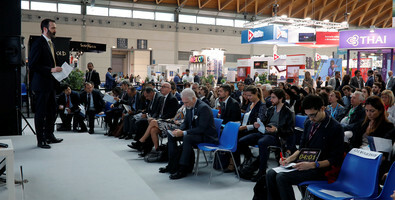 an attendance figure of 73,821 professionals and 2,850 exhibitors. THE ONLY TRUE GATEWAY TO THE ITALIAN OUTBOUND MARKET. The global product for Italy’s leading demand-side operators. The best of Italy’s offer and creativity for International markets. 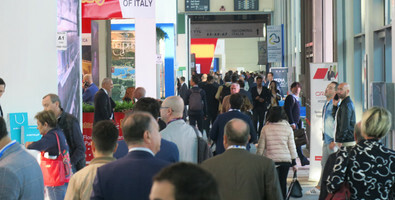 TTG Travel Experience is the main marketplace in Italy for negotiating and networking between International offer and the intermediaries of the tourist product. 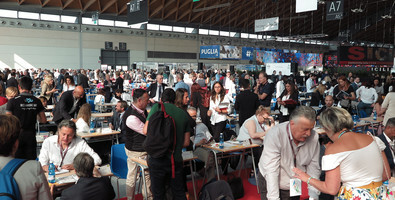 It is the only appointment in Italy where exhibitors can meet all the main Italian travel agencies and tour operators in a context which is exclusively b2b. 3 DAYS OF PURE BUSINESS. EFFICIENCY, PRODUCTIVITY, RETURN ON INVESTMENTS AND A PEEK INTO WHAT THE FUTURE HOLDS FOR THE INDUSTRY. THE BEST TIME TO LAUNCH PRODUCTS IN ITALY.